Call for your FREE trial today. their goals and sport specific needs. 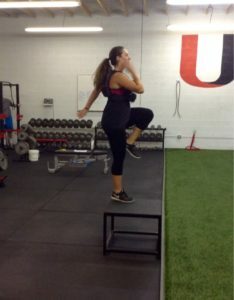 Our dynamic warmup is proven to virtually eliminate injuries. We increase ones athletic performance with agility training, plyometrics, speed enhancement drills, strength training, sport specific conditioning and more. No area of athletic performance will be overlooked. All athletes can benefit from increased speed and quickness. 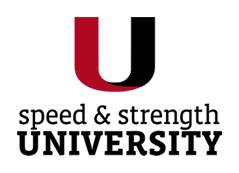 Speed and Strength University specializes in teaching efficient running, acceleration, deceleration, change of direction, and lateral movement mechanics. Proper form and techniques are essential to developing speed and quickness. 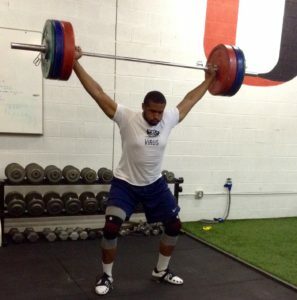 These techniques will be used each training session to create muscle memory until they become second nature for the athlete. Using this method not only creates a complete athlete but also reduces the chance for injury. No matter what your age or level of fitness, we can help you reach your goals. 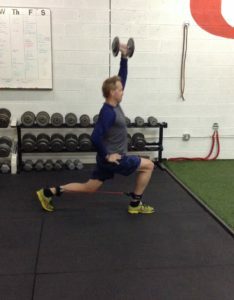 Work one on one with a certified and experienced strength and conditioning coach. Our priority is not only to help you achieve your goal, but to reduce the risk of injury. Each client is taken through a series of assessments to see how your body moves and where injuries may arise. Your program is then designed to help strengthen these potential problem areas as you work towards your fitness goals. You will begin to see and feel the results immediately. We have one flat rate with no hidden fees or start up costs. It’s simple, pay your membership dues each month and get a fully customized program designed specifically for you. Our expert coaches will guide you through each workout and help motivate you along the way. We don’t want price to ever be the issue keeping you from reaching your fitness goals. This allows you to train as much as you would like for fraction of the cost of most personal training programs. Our group fitness classes are designed for all abilities and ages. Our instructor s have trained elite athletes, and they’re ready to turn their focus on you. This is a great way to get in shape and have fun while doing it. 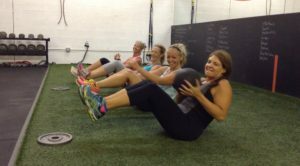 Whether you are an elite athlete or just starting out these classes will be designed to fit your specific fitness level. Group fitness classes are 45 minutes long and include injury prevention, strength training, core work, conditioning and more. Ready to take your team to the next level? We can get you there. Team camps are a great way to not only improve your teams athletic ability, but also develop a strong team chemistry. Teams that work hard together create a lifelong bond that helps develop a stronger team and individual. 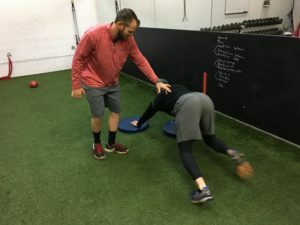 Speed & Strength University coaches work with you to set up a comprehensive program based on your teams goals and are available for in-house or on-site coaching.